SolarWorld Sundeck is an integrated solar panel roof system. SolarWorld Sundeck creates the perfect combination of efficiency and aesthetics. High quality and performance Sunmodule Plus mono black solar modules are built into the roof structure. This replaces the need and cost of usual roof tiles. All whilst generating free electricity. 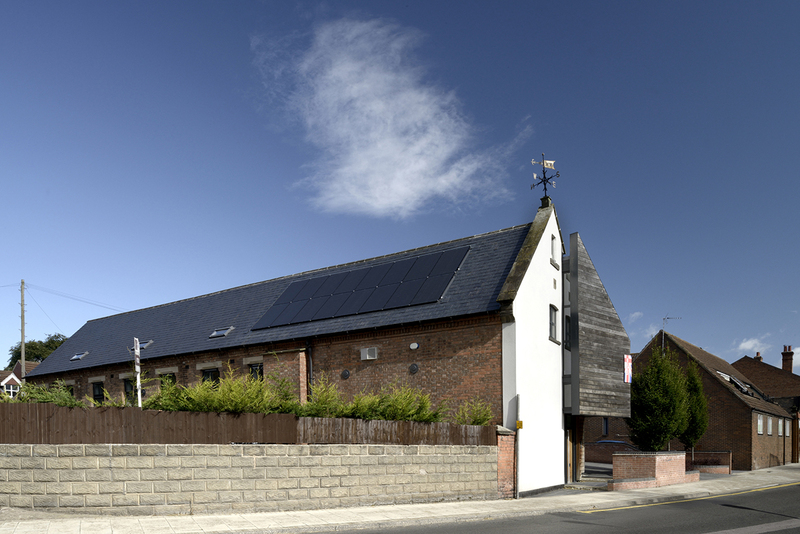 The uniform colour of the panels means they can visually become part of the existing roof*. The Sundeck system is suitable for roofs angled at an inclination of 15 to 60 degrees. The usual pitch of roofs in the UK is between 30 and 50 degrees. Please contact us today and Coretech Solar will evaluate the pitch of your roof, or roof design if you are at the planning stage of your new home. A cleverly designed rainproof substructure is attached to the roof laths (batterns). 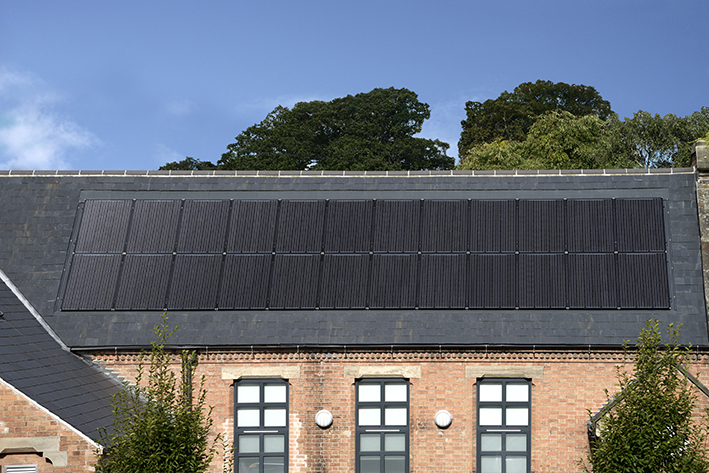 This allows for the incorporation of a sophisticated solar panel scheme, adjusted to ideally suit your building’s individual requirements. Sundeck meets all requirements for maximum roof impermeability, making your roof completely watertight. Sundeck also guarantees high yields thanks to its special design and optimum rear ventilation. Its galvanized sheet steel with additional polyester coating also ensures durable corrosion resistance. The robust design permits use of the sundeck in areas with potentially heavy snow loads. Always a bonus if you live in the north of the UK! Sundeck 8500 can withstand snow loads of up to 8.5 kN/m². upgrading of your existing roof. To find out more details about this innovative solar panel system, please contact Coretech Solar today. We are always happy to discuss any aspects of your solar energy requirements. *We recommend the colour of your roof tiles are chosen to match the Sundeck system.